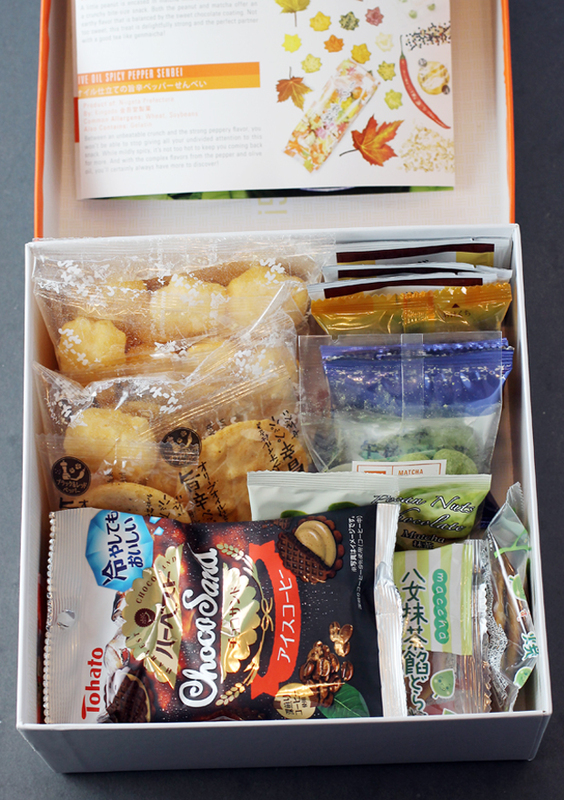 Among the goodies inside were: addictive Foliage Rice Crackers, shaped like leaves and flavored variously with sugar-coated matcha, hot mustard, turmeric, soy sauce and white sesame, and purple sweet potato; Matcha Milk Beans, milk-chocolate covered peanuts that get showered in matcha for a wonderful crunchy candy; Olive Oil Spicy Pepper Senbei, a rice cracker disc full of peppery umami flavor; Hokkaido Cheese Mochi, which are like Japanese Cheetos, but far airier; Yamematcha Mini Dobashi, a delicate, tender pancake sandwich filled with matcha cream; and Ice Coffee Chocolate Sandwich, a tiny one-bite crisp chocolate cookie sandwich filled with coffee cream and sprinkled with salt; and Genmaicha, one of my favorite teas that’s a blend of sencha leaves and roasted brown rice for a richly toasty flavor that’s perfect on a chilly night. 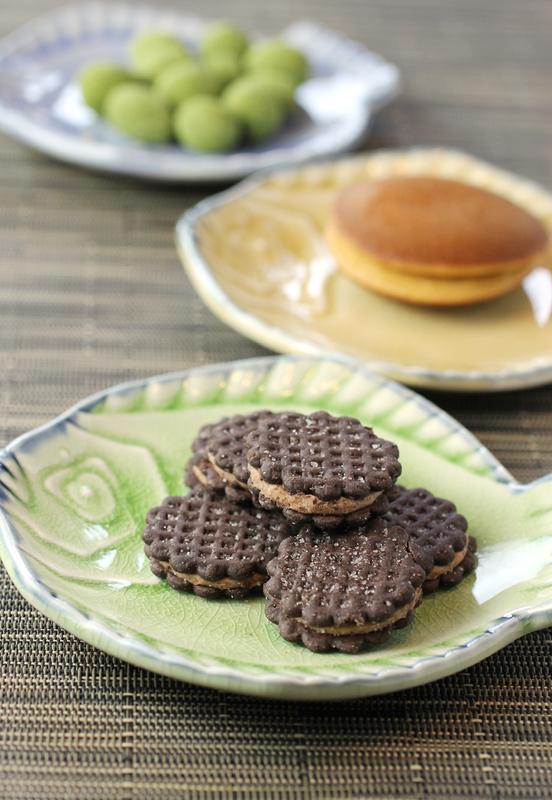 Front to Back: Chocolate and coffee-cream bite-sized cookies, a pancake cookie with matcha cream, and matcha-covered chocolate peanuts. 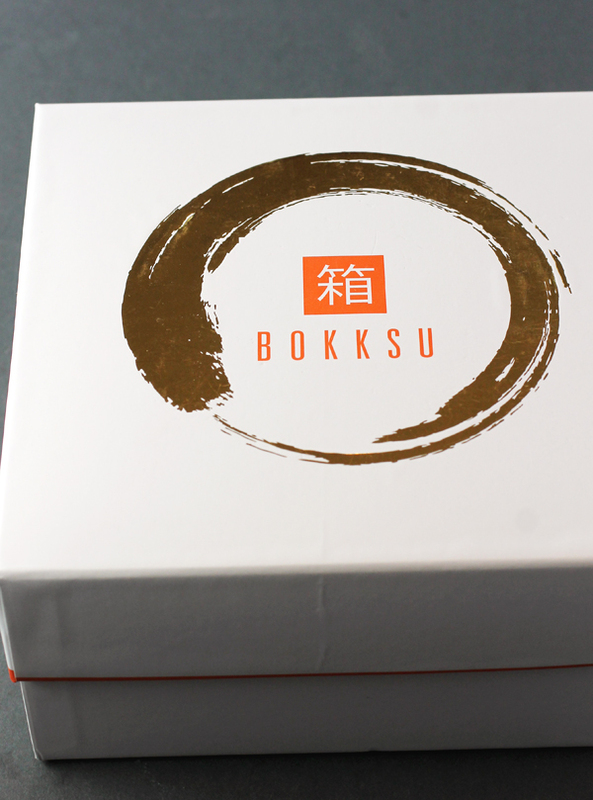 Bokksu boxes are available as a monthly subscription or as a one-time gift. There’s also an online marketplace, so that if you fall head over heels for a particular item, you can order more of it. 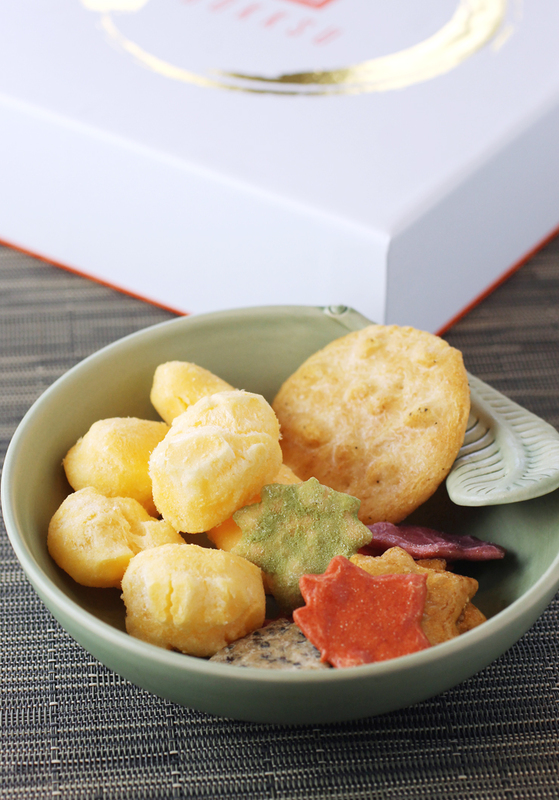 It’s definitely a fun way to discover new and delicious temptations. Belgian-born chocolatier Brecht Saelens and his baker-wife Sara make small-batch, single-origin, bean-to-bar chocolate in New York that not only satisfies a sweet tooth but also anyone with a discerning eye for art. 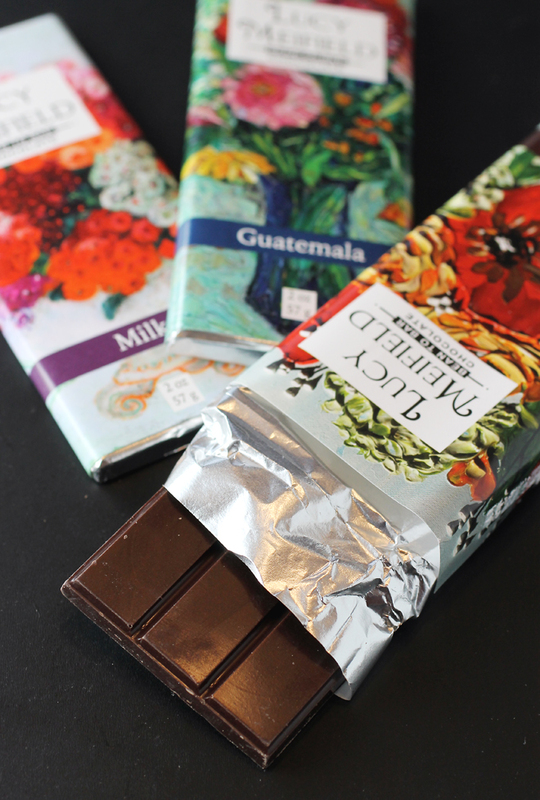 That’s because their Lucy Meifield Chocolate bars are wrapped in labels that show off the work of local artists. Chocolate that tastes as good as it looks. I had a chance to sample three different bars: Milk, Dark Milk, and Guatamala. The Milk (50%) from Ecuador is sweet and creamy tasting with a taste of vanilla, caramel and toffee. The Dark Milk (60%) from Ecuador is even creamier tasting with a deep cocoa taste almost like a mudslide cookie. The Guatamala (70%) has a rich berry character, along with toasty, nutty notes. Each 2-ounce bar ($4.75 each) is adorned with a reproduction of a painted floral bouquet pretty enough so that this is one stocking stuffer you don’t have to worry about wrapping again. I make my own preserved lemons every year, doing it the time-honored way by just stuffing lemons with salt in a jar, and waiting patiently until the lemons soften, exude their juice that combines with the salt to form its own brine. It’s easy, though it does take about a week to do. 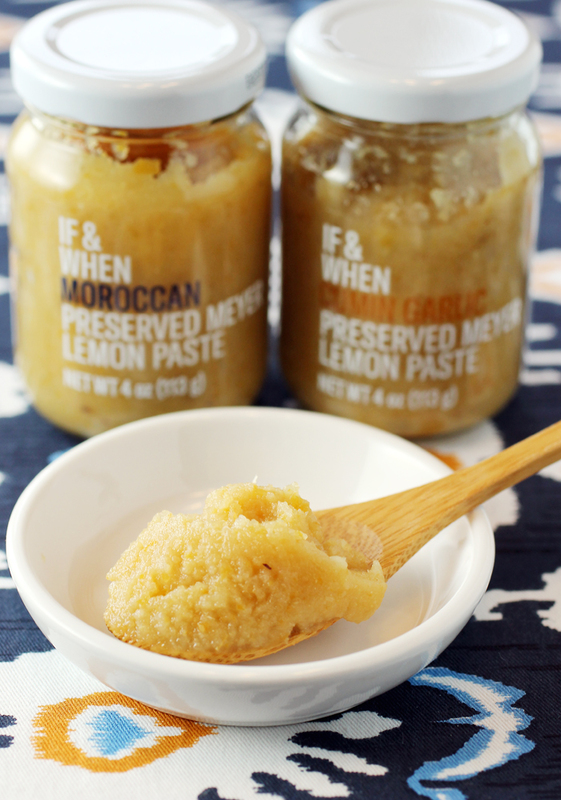 For a faster alternative, just pick up a jar of If & When Preserved Meyer Lemon Paste. It’s a new product made in California using local Meyer lemons, sea salt and spices. It not only eliminates the time of preserving your own, but it’s quicker to use because you don’t have to seed and cut-up the preserved lemons before using. With this paste, just open the jar, and spoon out what you need. 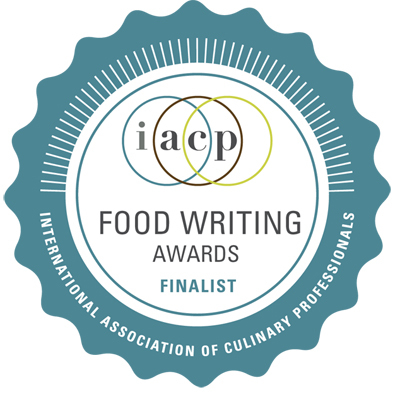 If & When Preserved Meyer Lemon Pastes. I had a chance to try the two flavors: Moroccan, and Cumin-Garlic. 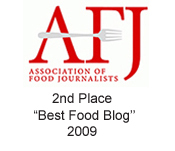 Both are plenty pungent, tart, musky and salty, though not overwhelmingly so. Just know that a little goes a long way whenever you use preserved lemons. The Moroccan was earthy and tangy, while the Cumin-Garlic was really bold tasting with plenty of garlic. 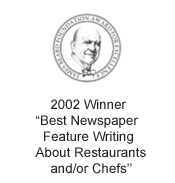 Imagine spreading some on roast chicken, grilled seafood or roasted veggies, or whisking a dab with olive oil for a vinaigrette or mixing a little into tuna salad for a sandwich.